The charming, vibrant and multi award-winning animated preschool series Pocoyo, already an international hit, is now brought to life for American preschoolers! 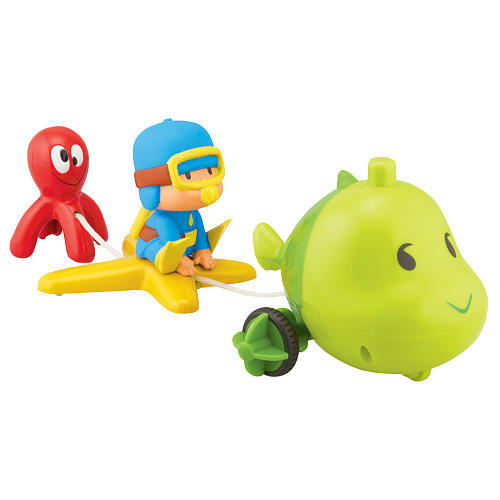 · Bump n’ Go - Pocoyo just loves to zoom around in his racing car! 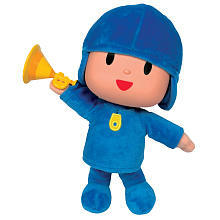 Press Pocoyo's head and off he zooms with music coming from the car! Press Pocoyo's head again and the music accelerates! When the car hits an obstacle, it stops, moves back and makes a U-Turn! NAMED ONE OF THE TOP 25 TOYS FOR INFANTS AND PRESCHOOLERS BY TOY INSIDER!